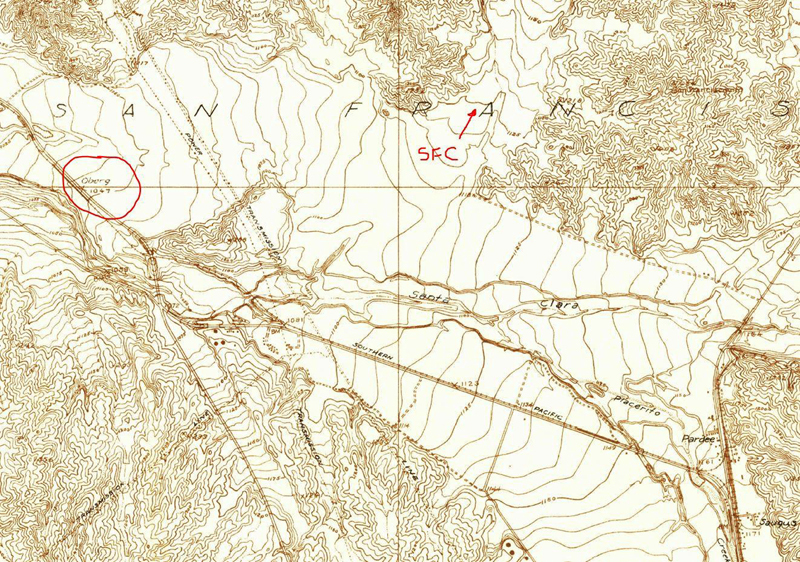 A 1929 USGS topographical map, courtesy of Jason Brice, places Oberg (circled) at the northwest end of Castaic Junction. (It's roughly the upper-left corner of this aerial photo.) 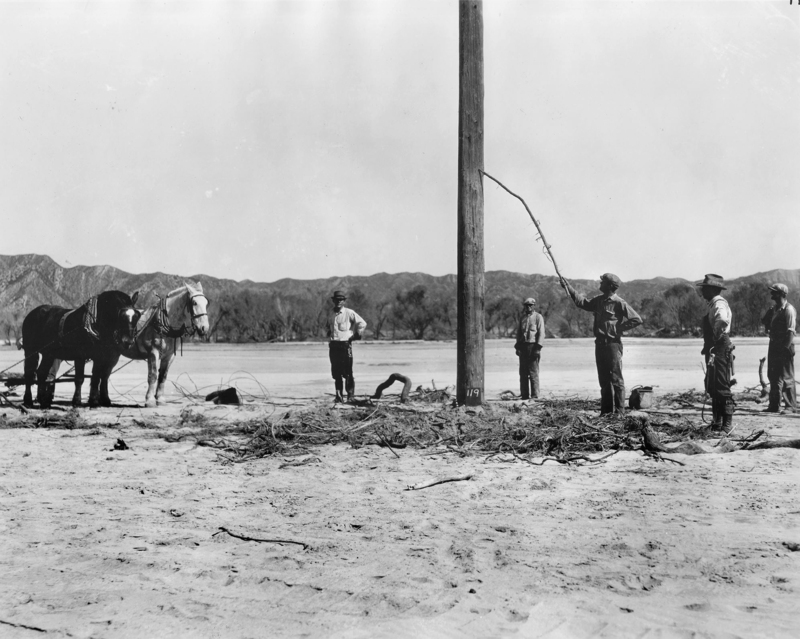 Here, "SFC" is pointing to San Francisquito Canyon. 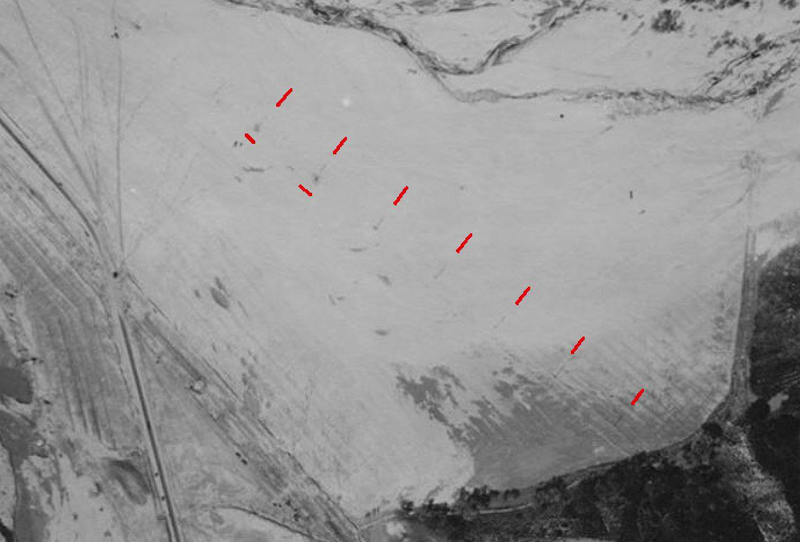 Magnifying the upper-left corner of one of these aerial photographs, Jason Brice points out evenly spaced power or telephone poles in the vicinity of the Oberg Siding at Castaic Junction and suspects the men in the High Water Mark photo are gathered around one of them. J. David Rogers writes (2014): Here is a clip from my flood inundation map of (the Castaic Junction) area. 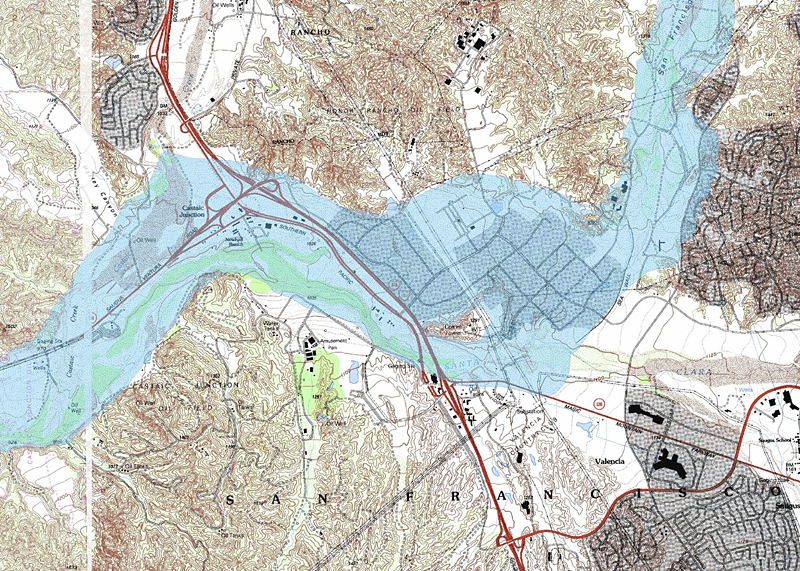 The flood waters diverted around the north side of the promontory would have swept in from the east, nearly perpendicular to that tracks in vicinity of Oberg Siding, and the erosion would have been severe along the oversteepened banks along the eastern side of the Santa Clara River Channel, which is noticeably incised. That explains how the tracks shifted 200 feet to the west. RO2803c: 19200 dpi jpeg. 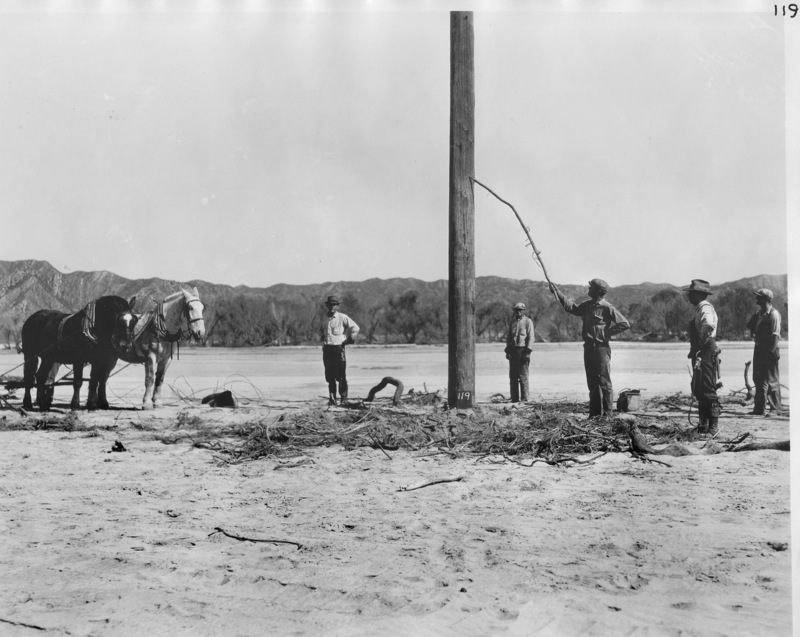 Online image only.